← Why Do We Need Physical Examinations? Physical examinations are crucial. This examination determines the status of your overall wellbeing. It helps you prevent diseases as soon as possible. Your primary care provider or PCP can help you in choosing the finest course of action for the betterment of your health. Such is the importance of this examination. If you have been taking any form of medications like over-the-counter drugs and herbal supplements, you need to disclose them all to your PCP. These will not only give your PCP the background of your status but as well as the why the results are showing the way they are. One of the purposes why you had a physical examination is because your PCP can shed light on what has been happening in your body. Just so as you will not forget, it is essential for you to list the things that have been bothering you especially when it comes to your physical health. There are always causes and effects on what you are currently experiencing. And if you have important documents that can back these up, show these documents to your PCP. These documents do not have to be limited to relevant physical tests. It can also include your medical and surgical history. Prepare these documents the day before you go to your appointment. Bring along with you the names and contact information of medical practitioners you have seen lately. Have you seen a medical practitioner recently because of an ache or symptom that has been bothering you? This medical practitioner could be a doctor, a therapist, or a dentist. Take their names and contact information. People who have defibrillators or pacemakers have a device card that contains the necessary information needed by their PCP. If you happen to be one, kindly bring your device card. Now is the perfect time to talk to a medical professional about what you are currently experiencing. List down the things you want to ask your PCP about. Recall your symptoms and discomforts. If you are having your physical examinations, make sure that you wear comfortable dresses. Remove unnecessary things that may prevent your PCP to fully examine your body. You do not have to wear makeup or any jewelry. Your outside appearance does not matter. Your health does. In addition to comfort, Bayou Home Care provides Home Care in Louisiana. 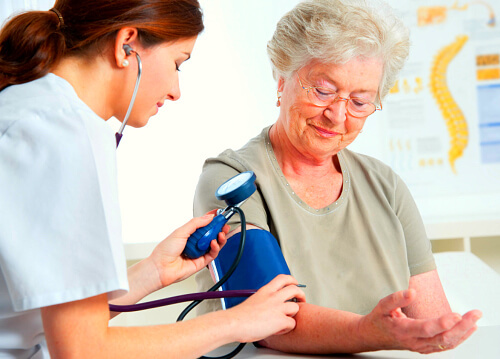 The greatest comfort we can offer our patients is to give them medical examinations and support in their home. So visit www.bayouhomecare.com for more information.